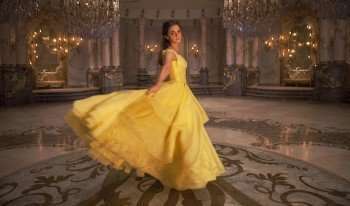 With awards season in full bloom, Disney is making sure critics don’t forget Beauty and the Beast. The feature, headlined by Emma Watson and Dan Stevens, will have a one week exclusive engagement in Los Angeles (AMC Century City) and New York (AMC Empire 25) starting Friday, December 1. The feature, directed by Bill Condon and based on the 1991 animated classic, was this year’s top grossing movie with a domestic gross of over $504 million (it’s made over $1 billion worldwide).The score was composed by Alan Menken and Howard Ashman (with additional songs by Menken and Tim Rice). Were you a fan of the live action version of Beauty and the Beast? Feel free to comment below!